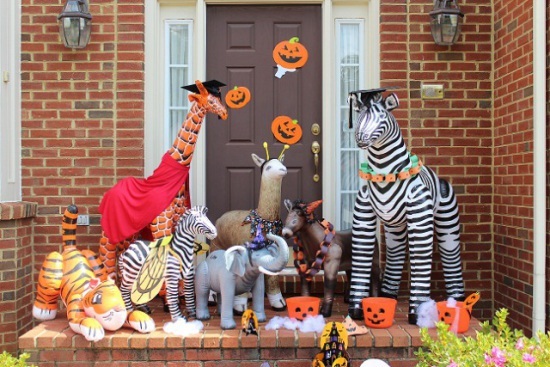 Whether you're hosting a party for kids, families, or adults only this Halloween, these life-size inflatable animals are a neat addition to your party themes. Place a shark strategically in your seaside decor, a donkey in your barn, a giraffe in your Africana, or a Pteranodon in your Jurassic Park! Here are just a few of the many cool inflatable modern and prehistoric animals, made by Jet Creations, Inc. in Virginia. Blow them up and they're ready to party at your home! And when you're not entertaining, these life-like fellas can be used as decor for a kid's room, taken to school for a show and tell, displayed at booths for business shows, and as floaters in your pool. 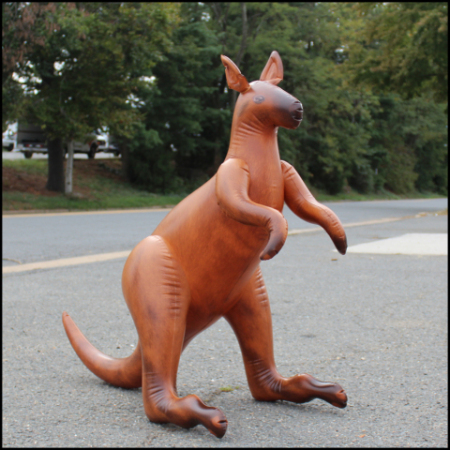 The Large Inflatable Kangaroo, at 48" high, will certainly surprise your guests, and it is priced quite reasonably at Amazon.com. Inflatable Kangaroo makes a hopping party animal! 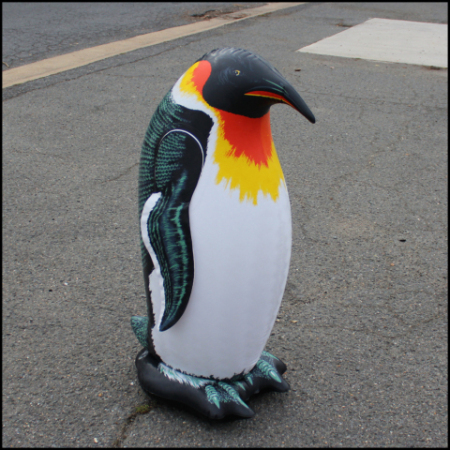 ... must include a lovable, Inflatable Penguin, standing 42 inches high and reminding your guests of the wonderful wildlife that they need to save. Available here. 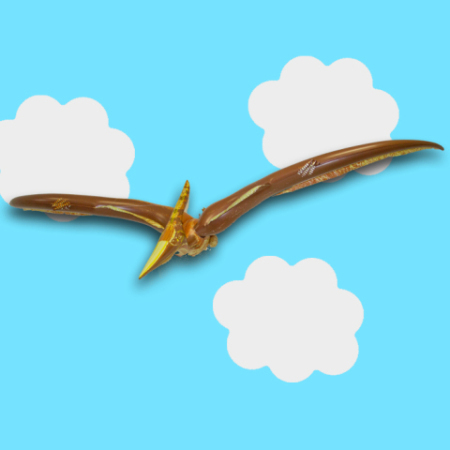 Ah, the Pterandon, the flying reptile who used to hang out in the mid-west about 100 million years ago This Inflatable Pterandon now hangs out on Amazon.com, where its 62-inch wing span is interfering with the other flying objects. 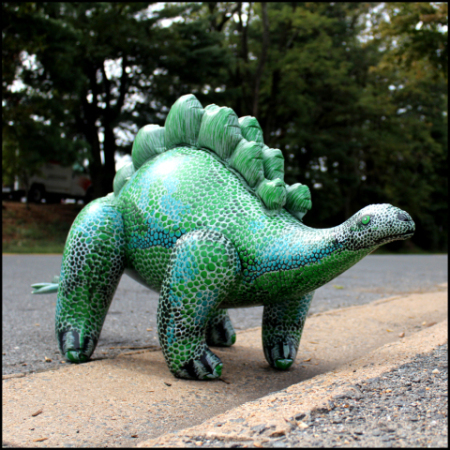 Not a little lizard by any means, the Inflatable Stegosaurus won't eat your Halloween candy and promises to charm your guests. A great conversation piece, 46 inches long and growing. Available at Amazon.com. Zebras are such magnificent creatures, aren't they? 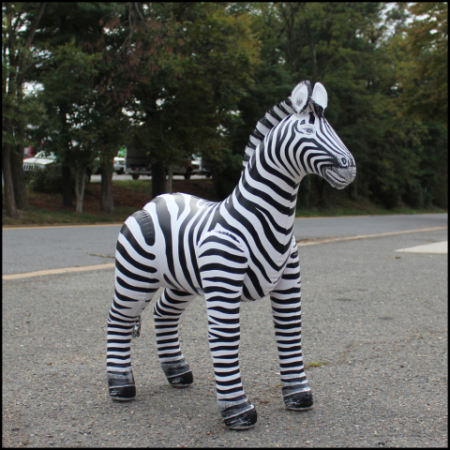 This Inflatable Zebra is almost life-size at 56 inches. Available here. 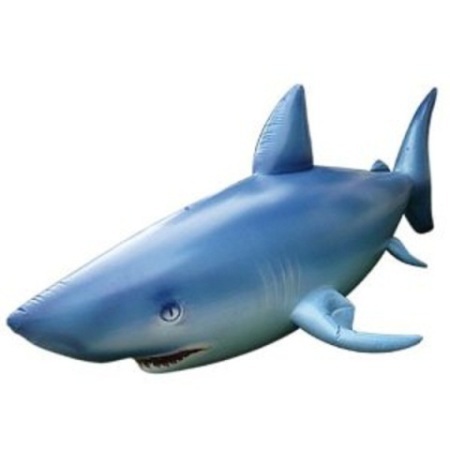 A 7-foot long Inflatable Shark would love to devour your guests - you provide the water. Available here. 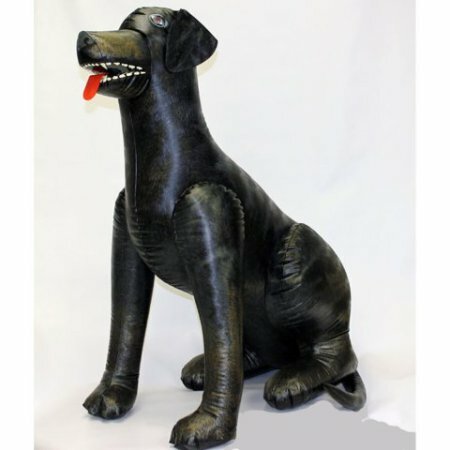 According to a Greek myth, Janus was actually a two-headed dog that guarded the gates of hell, but this 40-inch Inflatable Black Dog is scary enough to suffice and when not partying can be positioned face forward in a window frame. Available here. There are many more fun and interesting life-size and almost-life-size inflatable animals and dinosaurs made by Jet Creations that are available on Amazon.com. Have fun choosing and partying with the ones you love!